Floral Forecast - The Interiors Muse. 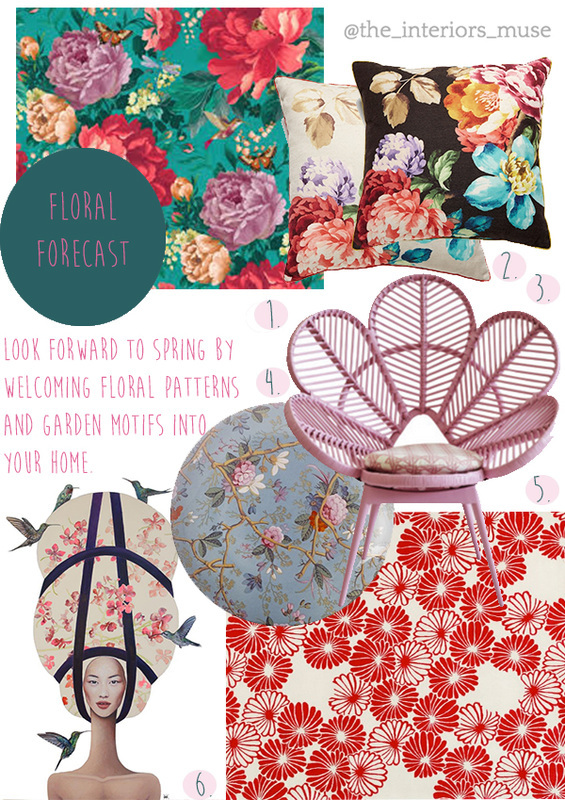 As we look forward to a much awaited Spring, floral patterns and garden motifs are being welcomed into our homes. Keep it super soft and feminine with pastel pinks and blues, or make it bright and punchy with a contrast of black and hot pink. Whatever your style, channel your inner high garden hippie and you'll be able to make this trend work for you.